I'm glad that my Panget likes to eat and whenever we travel, we indulge once in a while. This is another restaurant that my friend Kath recommended. It was a busy Sunday - there were a lot of people walking in Le Marais, it was crowded but a nice crowd. We were enjoying strolling through the streets when we happen to see people checking out the menu of a restaurant. As Pinoys, we were curious and so my Panget told me to check it out. 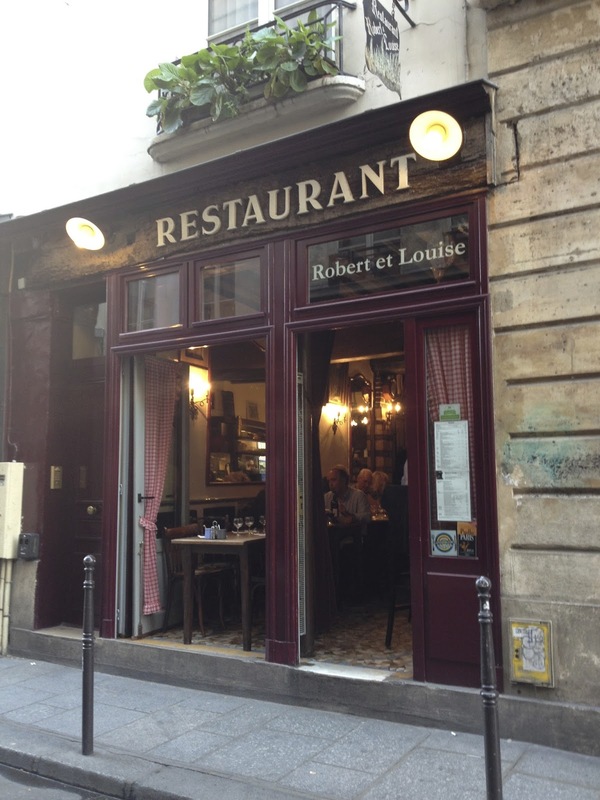 And I did, I was surprised to see that it was the steak place Kath was telling me about - Robert et Louise. We were then given a menu, my Panget and I looked at the steak, ahahaha! We're meat eaters - and so we decided to get the steak that was good for 2. 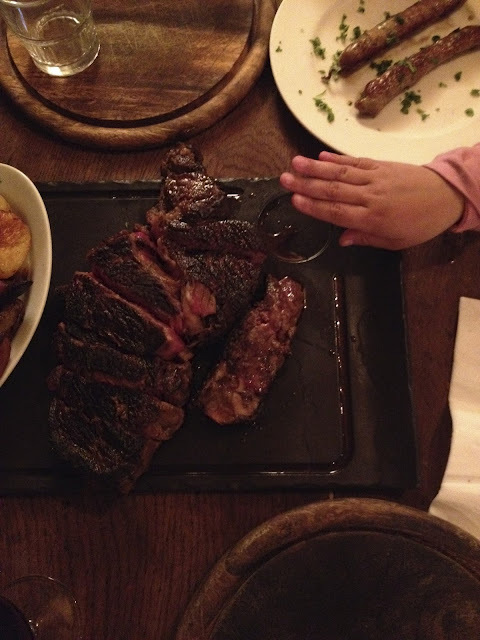 It was 800grams worth of steak - my Panget was skeptical and was asking me on and on if I would share it with him. I was confused telling him YES over and over again. I was wondering why he was worried and kept on asking me. It was strange really - I thought maybe he wasn't himself? Hahaha!! It was HUGE! Look at the steak in comparison to Kailee's hands! So, this was why Panget was asking me. I didn't realize that it was really big! Hahaha.. I assumed that it was just small. Don't ask me why but I guess I thought that 800grams was small. I forgot that 200 more grams, it would weigh a kilo already! Hahaha.. The steak was wonderful. It was grilled to perfection. I would prefer it be a bit more done, but my Panget likes it medium. The fries was a different kind, as they used real potatoes and that's why I felt it was yummier. 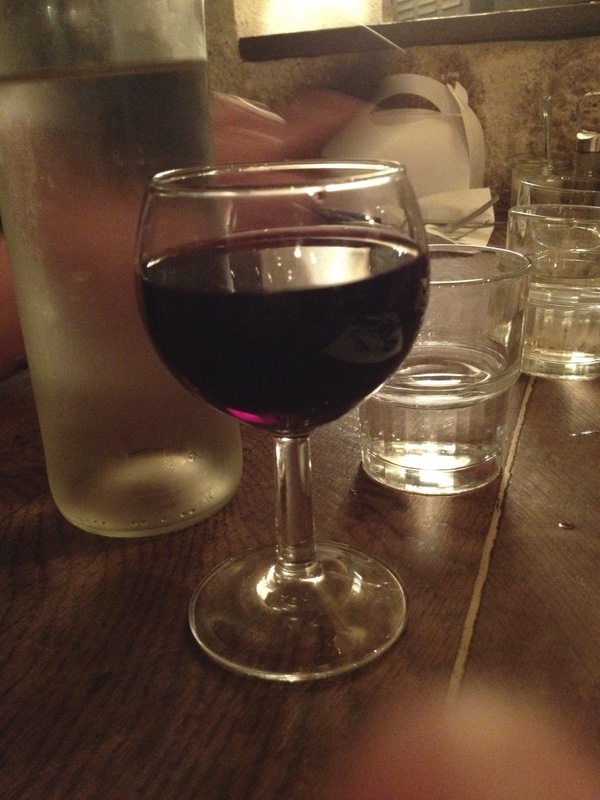 I was glad to order red wine as it enhanced the flavor of the steak. The meat was really good and juicy! It was really meaty, you know - a *manly kind of meat* (imagine a deeper voice saying this) - it wasn't full of fat yet it was very tender. My Panget and I enjoyed the steak very much - we were taking our sweet time because of the size. Hahaha! We cut some pieces for Kailee to try and she liked them. This is the red wine that I got. I wasn't able to ask for the name. I'm so sad, because I really loved this red wine. Even my Panget agreed that it was good. I never tasted wine this good! 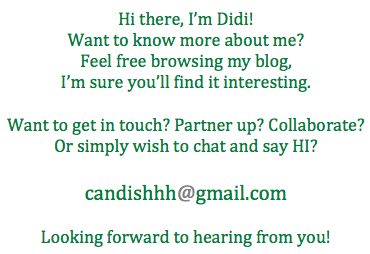 Honest! 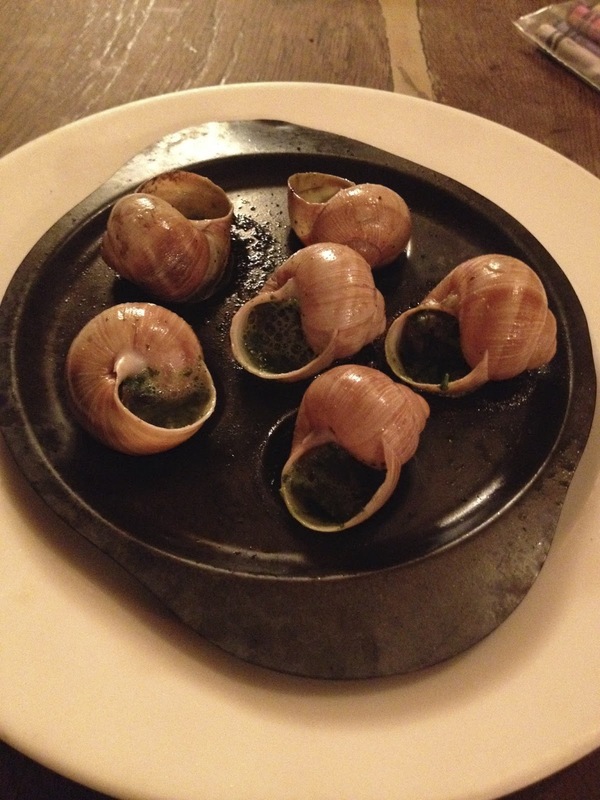 Escargot - snails! So good, even Kailee liked it! Haha! 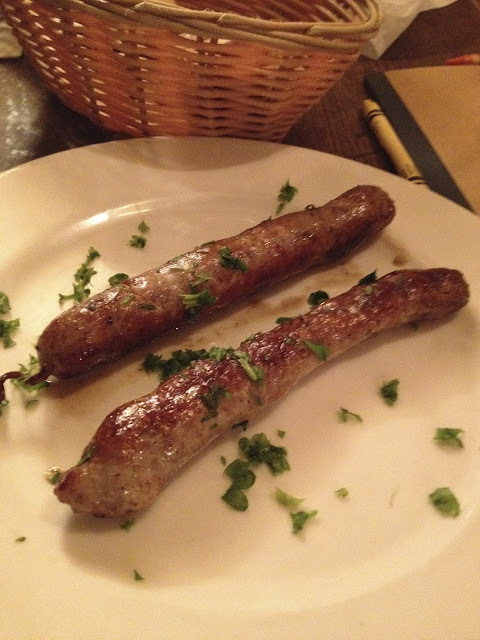 Our server suggested to order this sausage dish for Kailee, and she loved it. We were surprised because she ate them all without struggle! Add to that the pieces of steak we cut for her. Looks tiny? Well, it extends to the basement. I'm amazed on how space is utilized in Europe!